I’m at the Marikina Shoe Museum, in Manila. It’s a modest affair, in one large two-level room. 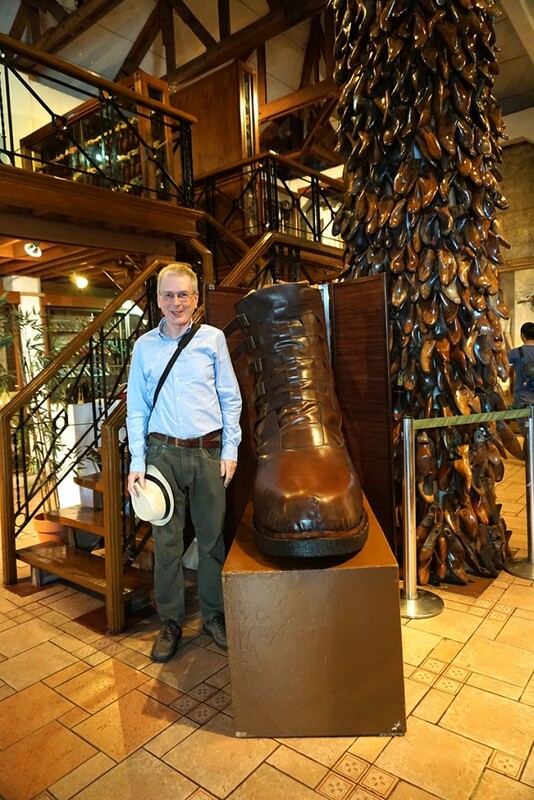 It extols the shoemakers art and boasts a central column decorated with wooden shoe lasts accompanied by a giant boot. But that’s not why people come. 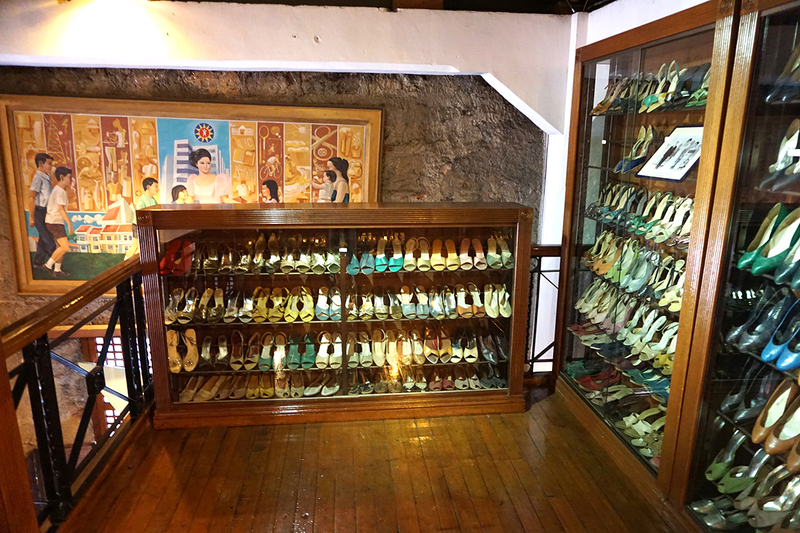 The undisputed draw is the Imelda Marcos Shoe Collection. 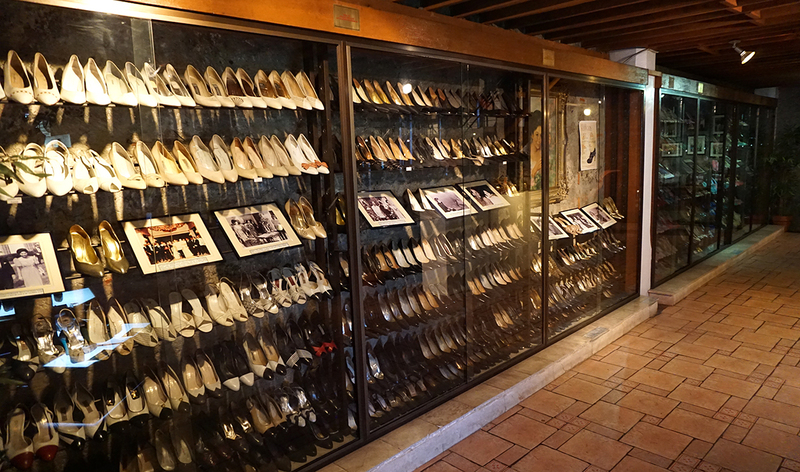 The great lady left behind an amazing collection of over 3,000 pairs when she and her husband fled into exile in 1986. 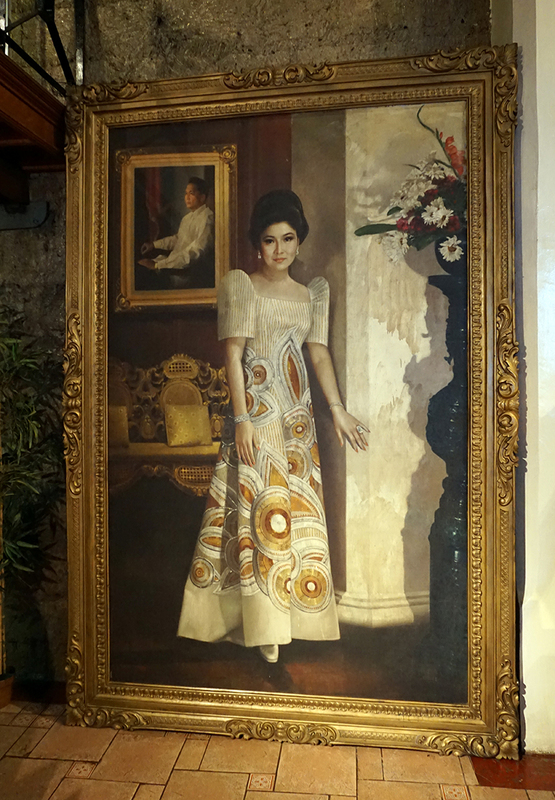 Not surprisingly, the collection became a symbol of the excesses of the Marcos family. The museum has room for only 800 pairs, but they still make for a daunting array. There is a lot of subtle variety, but only within fairly narrow ranges. Somewhat to my surprise, the styles are generally quite restrained, nothing too splashy. It’s a somewhat eccentric experience, but I found it quite amusing. The museum is at 14.6296,121.0963 at the junction of J.P. Rizal St and I. Mendoza St in Marikina, a slow 40-60 minute taxi ride from Intramuros and downtown Manila.